With this method you can survey certain customers via email. For example, Callexa Feedback can be configured to send a survey after an arbitrary number of days to the customers after an order has been completed or after a cancellation or after receiving an invoice. The customer can evaluate within this email. After the evaluation has been done, a website with a follow-up question or additional tags which can be evaluated, will popup. 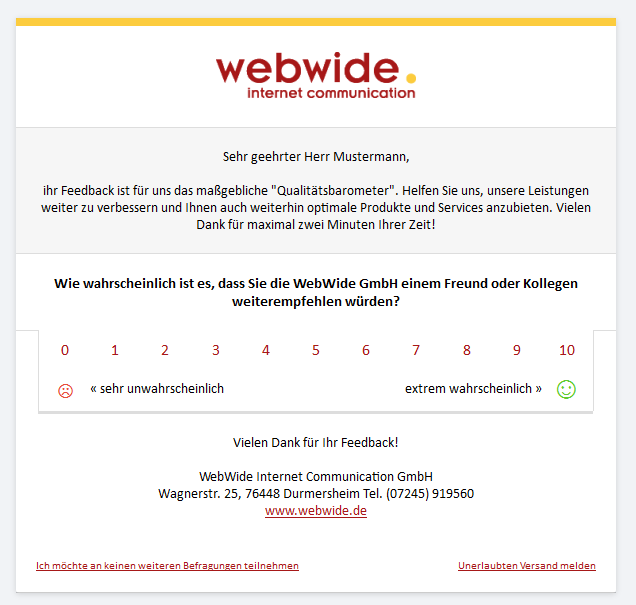 With this method it is possible to integrate surveys on your website or you onlineshop directly. e) As a slideup widget at the end of your website. The widget will be shown as a small bar at the end of your website. If the visitor clicks on the bar or if he scrolls to the end of the page the widget will be extended. With this method it is possible to integrate a survey link externally. This is helpful if you want to refer to your survey within a newsletter, email signature or social media articles. A link will be generated which redirects the interviewee on a website with your NPS survey. Segment is a popular customer data hub meant as an effortless way to integrate different web applications through a common set of data streams. We are happy to announce, that it will soon be possible to integrate Callexa Feedback into your own web application through Segment. Navigate to the "Recipients" panel of your survey and open the Tab labeled "Segment"
Click the checkbox to enable the automation and hit "Save"
Paste the API Key of your survey to the form and hit "Save and close"
Often you do not want to send the survey immediatly after the analytics.identify() command has been called. To correctly delay the sending of surveys we recommend that the createdAt trait is set correctly for all your customers. If it is not set Callexa will treat the customer as created on the current day. Set the minimum delay to the value you want but the maximum delay to 0. Whenever analytics.identify() is called, a survey will be sent to that customer. The same would apply if no createdAt trait is set for the customer. There is a global setting available for this purpose. Navigate to the edit panel of your survey and set a minimum interval in weeks. Callexa will ignore all identify calls for customers who already have been surveyed during that interval. If you have any questions feel free to contact us at info@callexa.com. Shopify is one of the most popular ecommerce platforms for easily creating online stores. We are proud to announce that Callexa can now be fully integrated with your own Shopify Store. Let Callexa automatically survey your customers several days after they have placed an order. Once a customer gives you a rating, it will be attached to the order and customer entry as a new tag. If he passes a comment it will be appended to the notes field of the order entry. That way you won't have to login to Callexa just to keep track of your ratings. Set it up once and automatically get valuable feedback for your shop, ordering process and products. If you haven't already, register your free Callexa account now. 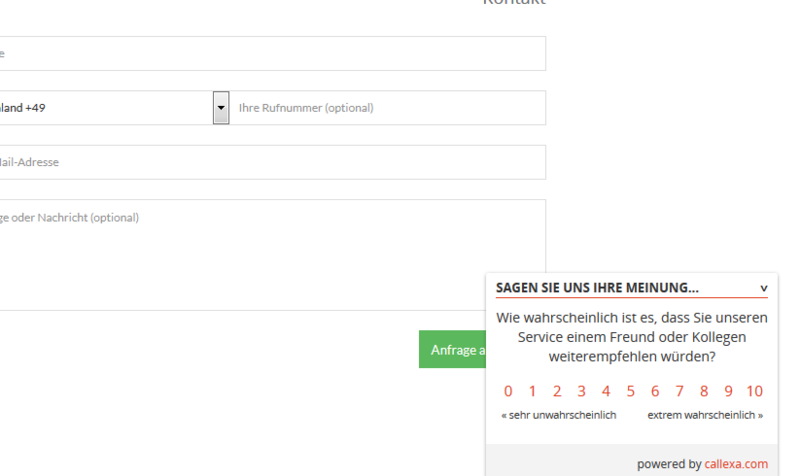 Create a new survey and adjust text, colors and logo to your likings. Click on the "Recipients" button of your survey. On the left side you will see all available Integrations, click on the "Shopify" tab. Just enter your shopify store name and click on save. Once you've granted access you'll be redirected back to Callexa and the red "Authorization required" label should've turned to a green "Authorization granted". 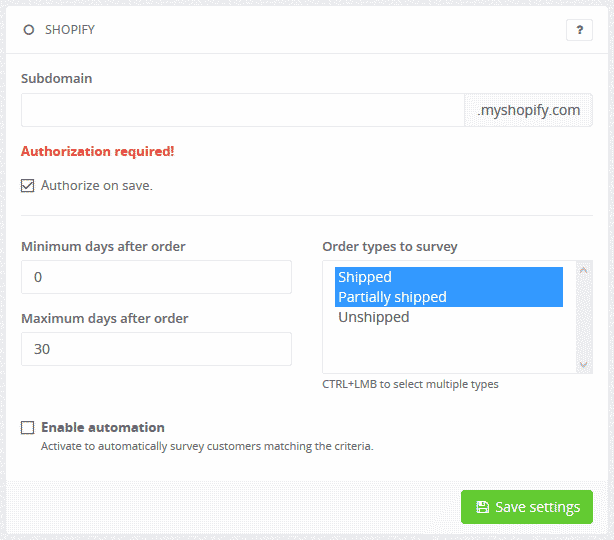 Specify which order states will result in a survey. You can either select all, or only survey orders which have been shipped. Set up how many days Callexa should wait at least and at most after an order has been placed, before sending a survey. Note that the maximum days value shouldn't be set to high, it would be irritating to ask customers for their opinion if they do not even remember their order. We recommend a value between 30 and 60. Usually surveys are sent earlier, as soon as they have reached the desired state and minimum days value. But the initial batch after your setup will include past orders up to the maximum days value. Activate the automation, click the save settings button and you are done. Remember, replies and ratings will be synced back to your Shopify store as notes and tags. But to get detailed statistics and a better overview of your ratings we recommend that you log in to your Callexa account once in a while. In today's article we would like to introduce our Software Integration Partner Insightly. Insightly is a great tool that helps mid-sized companies to deal with the daily barrage of tasks such as managing leads, contacts, organizations, partners, vendors and suppliers. With the CRM best practices, you can see all information on a lead or a contact, beginning with the origin and e-mail history over to key data on all projects in which they have participated. With an automated address and flexible calendaring, scheduling and email functions no customer falls into oblivion anymore. Moreover, projects and contracts with various tracking capabilities (Pipeline view, memories, event reports and task management) can be controlled. With Insightly's Web-based Customer Relationship Management functions you will not miss a thing anymore. Log in and transfer the API key from the Insightly user settings in the appropriate field on the Callexa Integration page. Enter the earliest date which the survey should take place. By specifying tags you can restrict the circle of contacts to be interviewed. If desired, enable automatic surveys and save the settings. Alternatively, you can always perform a manual import. Survey results are automatically added to the respective contact in your Insightly account as a note. 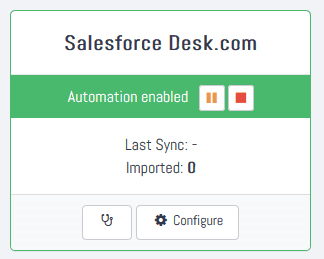 Desk.com is a helpdesk solution for small business in the famous Salesforce ecosystem. We're happy to announce that it's now possible to connect Callexa Feedback to your Desk.com Helpdesk. Let Callexa automatically survey your customers when a ticket has been resolved. All replies to the survey will be synced back to the Desk.com customer entry. Set it up once and automatically get valuable feedback on your customer service quality. We offer a permanently free account with up to 50 surveys per month.